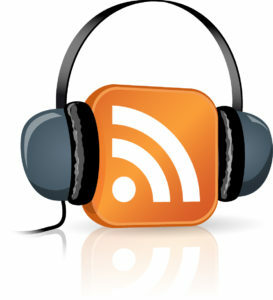 Home » Podcasts » Should “Podcasts” Be Called Something Else? It’s no secret that podcasting, on demand audio that you can listen to on your handheld device or computer, hasn’t taken off like many thought it would 10 years ago. It’s certainly growing in popularity due to hit shows like Serial, but many (myself included) expected more by now. Is the problem as simple as something like the name? The term “Podcasting” came from the original device used to listen to these shows, the iPod. Since no one uses iPods anymore, is it time to call it something else that’s more descriptive? A recent article by Jacobs Media Strategies surveyed many of the top names in the podcasting space, and asked them that question. The overwhelming answer was that they’re simply called podcasts, and that any attempt to change the name would be silly and a waste of time. I tend to agree with the experts, but I do wonder if the name is holding back adoption of this form of media. Being a podcaster, I often find myself explaining podcasting to people who don’t know much about it. Sadly, the name doesn’t do anything to help my task. Normally I just say it’s streaming downloadable audio programming, or talk radio you download and listen to on your phone. While that “talk radio” descriptor doesn’t cover every podcast available, it covers the vast majority of them. Once people hear that description, particularly if they’re inclined to listen to niche talk radio, they get more interested. So … what would be a better name? I like “streaming talk radio” but, again, that really doesn’t cover everything available in the podcasting universe. Many prefer “on demand audio” but that sounds stuffy. “Streaming radio” might work, but purists will remind us that radio is a delivery system that has nothing to do with podcasts. So what’s the answer? While I do think that podcasting has an unfortunate name, changing it will be like trying to get some people (like my wife) to stop calling aluminum wrap “tin foil”. No matter how much it bugs you, it’s a waste of time.